thingybobs... ^..^: Christmas dose of the day: Ornaments galore! 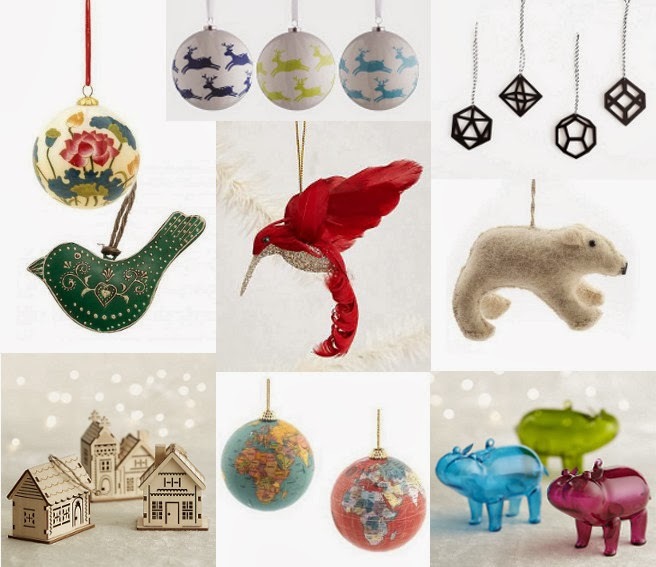 Christmas dose of the day: Ornaments galore! Lotus glass bauble. Reindeer baubles. Geometric black ornaments. Metal green bird. Hummingbird decoration. Polar bear decoration. Wood house ornaments. Globe decoration. Glass hippo ornaments.